Looking to get your message out to Weho? With Weho Daily, you can reach thousands of people who live, work and play in and around the West Hollywood area. We are a new, fast growing media source with a highly engaged audience, both on our website and on Twitter. We are the newest of “new media” — breaking stories live as they happen over Twitter, and following up with blog posts with more information. Contact us now for a custom Weho Daily advertising proposal – We will create a custom advertising package based on your specific needs that includes a wide variety of advertising sizes (see info below) and mentions on Twitter. Become a Weho Daily Supporter and promote your business – Feature your logo on WehoDaily.com and have your business mentioned on Twitter. Supporter packages range from $50 to $100 per month, or $250 with an included basic advertising package. Self Service Premium Rectangle or Standard Rectangle Advertising – Just point and click to get your ads running on our site with very little fuss. Show your ad in our popular 300×250 pixel graphic size. 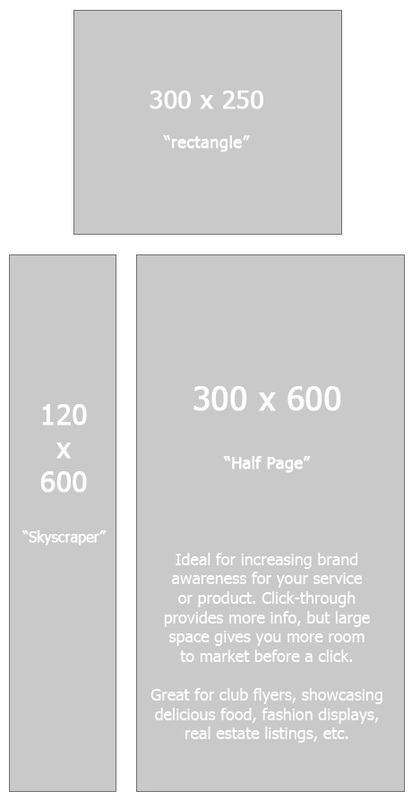 If you like the visibility from being on top of the page, choose our premium rectangle size. To show your ad more frequently for the same amount of money, but lower on the page, choose our standard rectangle. We have almost 11,000 readers on Twitter alone (and still growing fast… see our Twitter stats), and since we often break news stories in West Hollywood and surrounding areas, that includes people from just about every major media source in Los Angeles (and many smaller ones too). More than 15% of our followers have passed one of our messages along into their combined audience of over 2.5 million followers. Without question, West Hollywood is the nightlife capitol of the Los Angeles area, filled with trend setting, influential consumers of a wide variety of products and services. In addition to being a celebrity playground, West Hollywood’s influence on music can be seen most visibly on the legendary Sunset Strip, and the city is home to a very large gay population. We provide news and information from a West Hollywood perspective, and that includes news about surrounding areas, including Beverly Hills, Hollywood and the Hollywood Hills, that might be of interest to our audience. While most of our audience lives in the city, a substantial segment live in the surrounding areas, or come here for work or play. Like a magazine or newspaper ad, giving you a massive amount of space to showcase your message. This gallery on Adverlicious shows some possibilities. Perfect for increasing awareness without even having the visitor click to your site (though they can do that, of course). If you like to be on top, “above the fold” then our IAB standard 300×250 rectangle might be right for you. It provides a good amount of space for your message and appears at the extreme top edge of our pages. Contact us for a full proposal or book your advertising now using our self-service system We also offer the standard large-format IAB 120×600 skyscraper. This unit appears in the same position as the 300×600 half-page ad, although a second skyscraper will appear next to your advertisement. Please contact us on Twitter at @WehoDaily or via email to further discuss your advertising needs. We are eager to move fast, and can have your ads running on our site within a day or so.